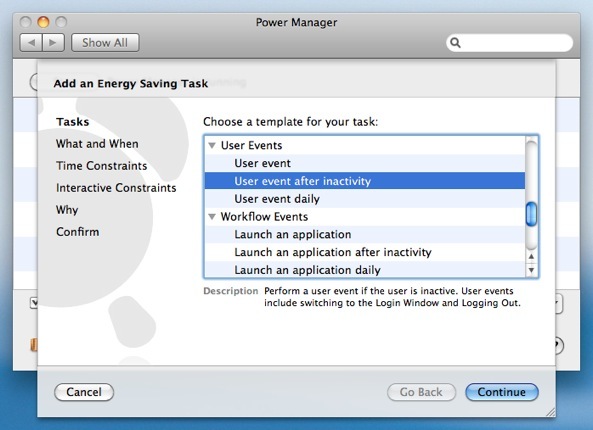 When a Mac is available publicly, or in a shared environment like a classroom, it can be useful to automatically log out after a period of inactivity. 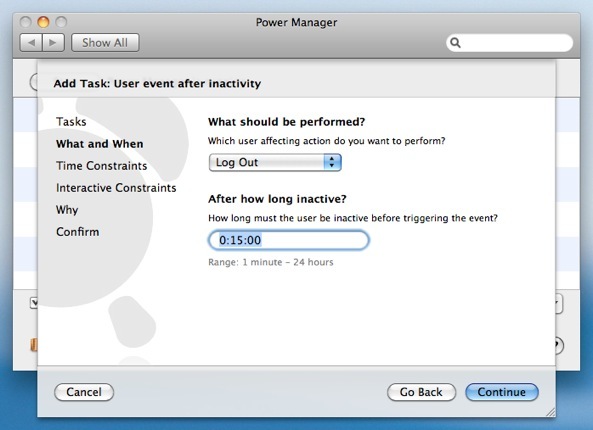 An automatic log out helps ensure the Mac is returned to a good state after a user has left, and helps avoid a Mac being left logged in unnecessarily. Let's create an event in Power Manager to automatically log out an inactive user after 15 minutes. Select "Log Out" for "What should be performed?". The default inactivity period is 15 minutes, so this can be left unchanged. 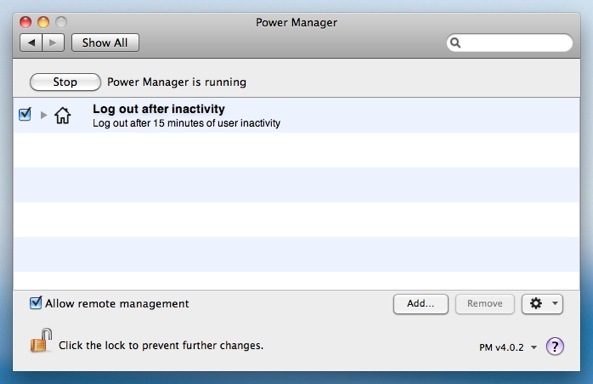 Your Mac will now automatically log out inactive users after 15 minutes. The event will close all open documents, and unsaved changes may be lost. It is important to tell your users to always save their work before leaving a computer unattended. 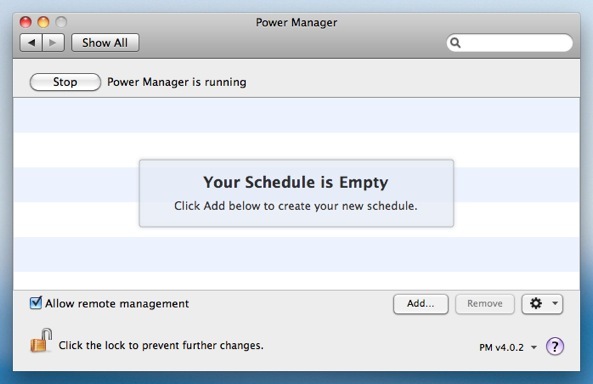 This article was posted in PM4, Power Manager, and Recipe and tagged automatic log out, dssw, how to, idle, inactivity, log out, mac, and Power Manager.